RUDYARD GRIFFITHS: Ladies and gentlemen, welcome. My name is Rudyard Griffiths and it is my privilege to both organize this debate series and to serve as your moderator. I want to start tonight’s proceedings by welcoming the North American-wide television and radio audience tuning into this debate everywhere from CBC Radio Ideas to CPAC, Canada’s Public Affairs Channel to C-SPAN, across the continental United States. A warm hello also to our online audience, watching right now on munkdebates.com; it’s terrific to have you as virtual participants tonight. And finally, I’d like to welcome the over 3,000 people that have filled Roy Thomson Hall to capacity for another Munk Debate. Tonight represents a milestone for the Munk Debates: this is our 15th semi- annual event. We’ve been at this for seven and a half years, and our ability, debate in and debate out, to bring the brightest minds, the sharpest thinkers, here to Toronto to debate the big issues facing the world and Canada would not be possible without the foresight, the generosity and the commitment of our hosts tonight. Ladies and gentlemen, please join me in an appreciation of the co-founders of the Aurea Foundation, Peter and Melanie Munk. Let’s get this debate under way and our debaters out here on centre stage. Arguing for the resolution, Be it resolved the West should engage, not isolate Russia, is the Emmy Award-winning journalist, top-rated Russian TV broadcaster and best-selling author, Vladimir Pozner. Welcome, Vladimir. Pozner’s teammate tonight is a celebrated scholar of Soviet and post-Soviet Russia and a contributing editor at the Nation magazine. He’s here from New York City, please welcome Stephen F. Cohen. One team of great debaters deserves another and arguing against the resolution, Be it resolved the West should engage, not isolate Russia, is the Warsaw-based, Pulitzer Prize winning author and Washington Post columnist, Anne Applebaum. Anne, come on out. Anne’s debating partner tonight is a prominent Russian dissident, and the chair of the New York-based International Human Rights Foundation, He is, however, probably best known as the world’s greatest living chess player. Ladies and gentlemen, I give you Garry Kasparov. Before we begin with opening statements, let’s review how the audience voted on tonight’s resolution coming into this debate. 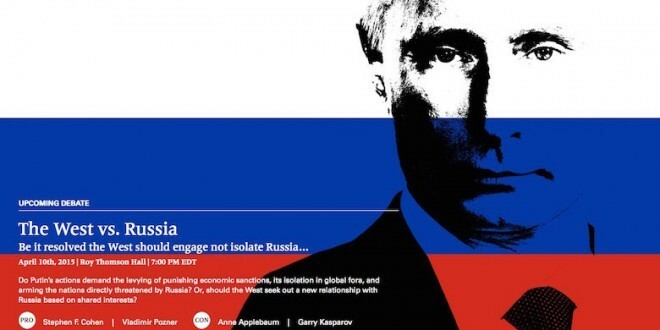 You were asked, agree or disagree, The West should engage, not isolate Russia. Can we have those results now up on the screen? There we go: 57% agree with the motion, 43% disagree. Quite close, this debate could go either way. And to get a sense of how much of this public opinion is in play we asked you a second question: depending on what you hear tonight, are you open to changing your vote? This is an indecisive audience, as 86% say they could go either way. So debaters, things are very much in play. We agreed beforehand to the order of opening statements, and Mr. Vladimir Pozner, your six minutes start now. VLADIMIR POZNER: Ladies and gentlemen, I have not come here to argue Russia’s case. I have come here to argue the case that isolating any country is not only counter-productive but dangerous, especially when the country is as big, as wealthy, as powerful and as unpredictable as Russia. Allow me to share with all of you a bit of history: when the Russian Empire crumbled in 1917 and the Bolsheviks came to power, the West refused to recognize first Soviet Russia and then, the Soviet Union. Isolation and non- engagement were the words of the day and so, for a decade or so, the country was cast by Western media as an evil power and left to stew in its own juices. The prediction was that it would inevitably fall apart, that it was economically dead in the water and that its people would rise up and destroy the regime. As we all know, none of this happened. In 1929, the West was hit by the worst economic crisis in its history. Meanwhile, in 1929, the USSR announced its first five-year plan of economic development. Over those years of non-recognition and isolation, the Soviet leadership, headed by Stalin, had been allowed to conduct a massive bloodbath in the country: it had physically wiped out all political opposition; it had destroyed millions and millions of peasants who had refused to adhere to the collective farm system; it had starved to death millions of Ukrainian farmers who would not bow to the Draconian demands for wheat and flour. It was in the process of annihilating Russia’s most precious human resource, the intelligentsia. It was in the process of creating a new human entity, the so-called Homo Sovieticus. The Great Terror of 1937 and 1938 lay just ahead. Non-recognition, non-engagement and isolation, non-interference, if you will, on the West’s part, the absence of any united outcry, all of these played no small role in allowing the Soviet system to evolve the way it did. It would be remiss of me, on the eve of the 70th anniversary of the defeat of Nazi Germany, not to mention the fact that by the end of the 1930s, the West — in particular Great Britain and France — refused to engage the USSR in an alliance against Hitler. The consequence was the infamous Molotov/Ribbentrop pact of August, 1939, with its secret protocol whereby the independent Baltic states of Estonia, Latvia and Lithuania, were sold off to the Soviet Union, as was part of Poland. And while it is true that ultimately, it was the Soviet Union that broke the Nazis back, as testified to by the likes of Winston Churchill and Franklin Delano Roosevelt, it is also true that the Soviet Union went on to occupy all the countries of Eastern Europe as well as some of central Europe. It is also true that it became a military superpower and we should thank our lucky stars that World War III never happened, thanks to MAD, mutually assured destruction. The USSR fell apart, not because it was isolated, not because of non- engagement on the part of the West — which in fact, actually made it stronger — it fell apart because the system ceased to function. It was simply not viable. And when it fell apart, when first Gorbachev and then Yeltsin came to power, what was the West’s response? Did it engage the new Russia? If we look a little bit deeper than the good old Gorby, good old Boris PR pap that was spewed out for popular consumption, the policy was this: you lost the Cold War, you’ll pay for it. Just shut up. Go back into your cave. You’re a second-rate country; we don’t care about you anymore. Had the West, the United States first and foremost, decided to engage Gorbachev’s Soviet Union and then Yeltsin’s Russia, engage with the same aims with which it engaged post-war Germany, and post-war Italy, to help create and support democratic development and institutions, Russia today would be a very different country. So, in conclusion, let me say this: the Russia that exists today is to a large measure the result of non-engagement by the West, of a policy aimed at humbling what is a nation of proud people. I vote for engagement because I want to see change in Russia, change positive both for Russia and for the West. Thank you. RUDYARD GRIFFITHS: Anne Applebaum, you’re next. ANNE APPLEBAUM: Thank you Rudyard, and thank you to this fantastic audience, but no thanks to whoever wrote the resolution which Garry Kasparov and I must oppose this evening. I, like the rest of you, believe very strongly that engagement is a positive thing. Engagement, integration, peace and prosperity are all linked. Isolation, by contrast, sounds negative and confrontational. Myself, I have long promoted engagement of Eastern Europe and advocated integration of Eastern Europe with the West and initially I believed that engagement which works so brilliantly in Poland, where I live, could work for Russia, too. Alas, I have concluded, after long experience, that for the moment it can’t. For this current Russian regime, as it now exists, cannot be engaged. Putin’s Russia is not just another autocracy or a traditional Russian dictatorship, as Stephen Cohen will probably tell you. Russia’s current leaders are not simply the political rulers of their nation. They are literally the country’s owners. They control all of its major companies, all of its media, all of its natural wealth. During the 1990s they took over the Russian state, in league with organized crime, using theft, graft and money- laundering. As a result, Russia is one of the most unequal countries in the world, with 110 Russians controlling 35% of the nation’s wealth. Many of those people also work in or with the Kremlin. Whatever you want to call this system – a mafia state, a feudal empire – it’s a disaster for ordinary Russians, but it is also extremely dangerous for everybody else. For in order to stay in power, in order to keep this tiny group of people enriched, Putin and his cronies have long needed not only to spread the system to their immediate neighbours, but to undermine rule of law and democracy in the West as well. How does this work? Putin and his henchmen badly need to keep the international financial system safe for corrupt money. To do so, they buy Western politicians. For example, when in power, former German chancellor Gerhard Schr?der stopped an investigation into a financial scam closely connected to Putin. Schr?der now works for Gazprom. Putin’s cronies have also invested heavily in strategically important European companies, hoping that by doing so they’ll acquire the political influence they need to protect their dishonest schemes. They make ample use of tax havens, thereby enriching the providers of these corruption services, and depriving legitimate governments of revenue. How to stop this? Only by disengaging and isolating the problem. Let’s get Russian money out of the Western financial system. A second example: Putin and his henchmen are often frustrated by Western multilateral institutions, such as the EU and NATO. A united EU energy policy would make it much more difficult for Russia to use its gas pipelines as it does now, to blackmail and bully its neighbours. If it weren’t for NATO, Russia would find it much easier, for example, to take the land that it badly wants in the Arctic. And so the Russian regime has invested heavily in anti-European, anti-transatlantic and even fascist political movements all across Europe. A Russian bank has lent nine million Euros to Marine Le Pen, the leader of the far right in France. Russia also maintains strong political and financial links to the anti-Semitic Jobbik party in Hungary and to far right groups in Germany, Italy and many other countries. What to do about this problem? We need to disengage and we need to isolate. Let’s get Russian money out of European politics. A third example: the Russian regime has invested massively in an enormous system of disinformation — television stations in multiple languages, websites, fake think tanks, a vast army of internet trolls — whose work is now well documented, whose efforts are designed to create chaos and confusion. This isn’t traditional propaganda. It’s not about saying that Russia is a great country. When a Malaysian plane was shot down by a Russian missile over eastern Ukraine last summer, the Russian media responded with multiple absurd conspiracy theories, for example, that the plane was full of dead people when it took off. But even on an ordinary day, Russia Today, the Russian English-language channel, is capable of reporting on the CIA’s invention of Ebola. The point of these stories is to create a fog of disinformation so that no one knows anymore what is true and what is not. How can we break through this fog and shore up our traditions of objective reporting? Yes, we have to disengage and isolate. Let’s work harder to identify Russian lies and get them out of our media. You’ll note that I haven’t yet mentioned Ukraine. That’s because you can’t understand the recent crisis there unless you understand the true nature of the current Russian regime. For two decades now, Russia has maintained control over Ukraine by investing in politicians, companies and disinformation. Putin hoped to create a Ukraine with a copycat, colonial version of the political system he invented in Russia and he almost succeeded. The young pro-European and pro-democracy Ukrainians who went out on the streets in December, 2013, were not fighting Russia as a nation. They were fighting oligarchs, corruption and Putinism. How can we assist these young Ukrainians? I repeat: we need to disengage and to isolate Putinist Russia. We need to maintain sanctions on Putin’s cronies, on those 110 people around him who control their country. We need to make Putin pay a high price for invading a neighbour so that he doesn’t invade another one. And the best way to do this is to isolate Russian money, isolate Russian oligarchs, malign Russian political influence and propaganda, and prevent Russian violence and corruption from distorting the politics of Europe and North America. Putinism is a danger to Russians, to Ukrainians, and to all of us. Thank you very much. RUDYARD GRIFFITHS: Ten seconds on the clock, Anne. That was impressive. Stephen, you’re up next. STEPHEN COHEN: Unlike Ms. Applebaum, I come here, my first trip to Canada, as a patriot of American and Canadian national security, on behalf of my family, and yours. To achieve that kind of security in the world, we need a partner in the Kremlin. Not a friend, but a partner who shares our fundamental security interest, and to achieve that, we must not merely engage Russia. We must pursue full co-operation on security and other matters with Russia. That is our reality today – the fact that national security, ours and yours, still runs through Moscow. This is an existential truth. Please keep this in mind, because here are the facts: the world today is much more dangerous, far less stable and less ordered than it was 25 years ago when the Soviet Union existed. There are more nuclear states, but less control over nuclear weapons, over nuclear know-how, over nuclear material. There are more regional conflicts, more open ethnic and religious hatreds, and there is more political extremism and intolerance. As a result, there is more terrorism and in more places. And making all this worse, there is more economic and social deprivation and resentment. And as we all know, there are more environmental dangers and foreseeable shortages of the earth’s resources. ?Here’s the other fact. It’s not an opinion. Not one of these existential dangers can be dealt with effectively without Russia’s co-operation, no matter who sits in the Kremlin. Even after the Soviet Union, Russia remains the world’s largest territorial country and one that straddles the fateful frontline between Western and Islamic civilization. Russia still has, proportionately, more of the world’s natural resources, from energy to freshwater, than any other nation. And, of course, Russia has its arsenals and stockpiles of every conceivable weapon of mass destruction. Still more, whether we like it or not, Russia still has sympathizers, partners and allies, around the world, even in Europe and even in the Western hemisphere. These are facts. Not opinions. What is the alternative? Our opponents say it is to isolate Russia. What they mean is weaken, destabilize, and carry out regime change — as if they could — in Russia. They rely not on facts, but on three fundamental fallacies based on their opinions. Fallacy #1: in this globalized world, it is impossible to isolate Russia. Russia is too big, too rich, too interconnected. Russia has many options, apart from the West. Ever since President Obama said, several months ago, that it was American policy to isolate Russia, the Russian state, under Putin, has signed more financial, political, economic and military agreements with foreign states than has Washington. Russia is connected. Russia has other places to go if we push them out of the West. Fallacy #2: isolating Russia from the West will not make Moscow more co- operative or compliant. Instead, we know what Russia will do. It’s doing it today. It will turn elsewhere, above all to China, and to many other regions and regimes that harbour resentments against the America, Europe and Canada. And what will Russia do, if we so isolate them? It will sell them nuclear reactors, it will sell them excellent weapons, it will give them credit and it will protect them politically at the United Nations with its veto. Fallacy #3: a weakened, destabilized Russia will make every danger I have listed worse and create new ones. Consider, for example, if this policy of isolation, with its sub-policy of weakening Moscow, were to succeed. What would become of Russia’s weapons of mass destruction, if Moscow’s control over them diminished? Think about that. Think about yourselves. Think about your children. Think about this kind of madness. Is that what we really want? Finally, what arguments at base do our opponents make in favour of trying to isolate Russia? They make none that I can see. The towering example and one which inevitably Ms. Applebaum would mention is Ukraine. What is Ukraine? It is entirely Putin’s fault. The West bears no responsibility. It is the first time in modern history that only one side is entirely right. We made no mistakes in our policy whatsoever. This is not factual. But leave Ukraine to another debate if you wish. I want to end by pointing out what Ukraine has already cost us in terms of our national security. It is losing us a security partner in the Kremlin, not just Putin, but perhaps for generations or, at least, years to come. It is splitting Europe against American leadership and possibly undermining the transatlantic alliance and plunging us into a new Cold War. It is bringing us closer to an actual war with nuclear Russia than we have been since the Cuban Missile Crisis. These are the facts. RUDYARD GRIFFITHS: Garry Kasparov, your six minutes, please. GARRY KASPAROV: Thank you very much. I’m here not as just a neighbour of Mr. Cohen, because we both live on the Upper West Side of New York, but as a patriot of my country, Russia. I don’t feel very comfortable arguing against the resolution, because my dream when I was a kid, a chess prodigy traveling abroad, playing under the Soviet and eventually under the Russian flag, was to help make my country a real factor in the progress of humanity. I knew that despite the regime that I hated — the Soviet Union at that time – Russia had huge potential, intellectual and cultural, and also that it had natural resources. And it seemed to me and for millions of others in my country and in Eastern Europe, that in 1991 our dream had come true. The regime collapsed and we all remember the celebrating crowds, pulling down the statue of KGB founder Felix Dzerzhinsky, and the talk of purification and escaping from a cage. It was not an easy time because Yugoslavia had also collapsed and then it fell into a terrible civil war. Russia happily escaped that, thanks to Boris Yeltsin and his wisdom and his ability to understand that we needed an agreement with the former Soviet republics. Russia was, I wouldn’t say rewarded, but it was engaged from the very beginning. What about all the billions and billions of Western money as aid given to support Russia’s economy? And in 1998, during the financial crisis, it was an IMF loan that actually helped Russia to escape from the abyss and by the end of Yeltsin’s rule Russia was already on the verge of recovery. Actually, the highest growth of GDP in Russia was in the year 2000. And then Putin comes in. So that was probably the greatest mistake Yeltsin made — a KGB lieutenant-colonel nine years after the collapse of the Soviet Union. First thing he did? He restored the Soviet anthem, just for those who had ears to hear his long-term agenda. And during those years we began to see the total collapse of the feeble democracy created under Yeltsin. First, it was turned into a one-party dictatorship, and then it became a one-man dictatorship, the most unstable and dangerous form of government, because it is all about one man. The whole legacy of the regime is based on his charisma and his ability to excite the audience and the entire propaganda machine works for his greatness. And again, we know from history that after running out of enemies inside a country, he turns elsewhere. In 2005, I stopped playing chess and I turned toward what some people have mistakenly called Russian politics, because when you say politics you think about political parties, you think about debates — Russia has no live television or public debates — you think about fundraising and elections. So I knew it would be an uphill battle, where my chess experience couldn’t help me at all. In chess we had fixed rules and unpredictable results. In Putin’s Russia it is exactly the opposite. And it has all happened with engagement. I remember how with horror, we all looked at the pictures on Russian television in 2006 when Putin was hosting the G7. I never called it G8, by the way, because for me it was always G7 plus 1. And speaking of the G8, it was given to Yeltsin as an advance. It was like a preliminary reward. Russia was not a democracy and it was not a great industrial power. China never made it into the G8, India never made it into the G8, but Russia did. And how could we attack Putin and his democratic values if we could see him, you know, being embraced and hugged by Bush, Blair, Berlusconi, Chirac? So the Russian propaganda machine worked this to Putin’s advantage. And while we are talking about the foreign aggression, I can’t avoid talking about Ukraine. The Ukraine aggression undermines the authority of NATO and the United States and again, it was the only thing for Putin to do because the economy no longer offers him an excuse to stay in power forever. He is now ruler for life, and everybody understands it. He needed this aggression as he did the aggression in Georgia, in 2008. And let’s not forget that Ukraine was disarmed by the United States and the United Kingdom in 1994, when it was forced to sign the Budapest Memorandum. Few people in this audience know that at that time, Ukraine had the third largest nuclear arsenal in the world — more than the UK, France and China combined. Ukraine had 1200 nuclear warheads. If some of these warheads were aimed at Moscow today, Putin would never have crossed the Ukrainian border. That document, with the signatures of Bill Clinton and John Major, also disarmed small nuclear arsenals from Kazakhstan and Belarus. This was very important because it created a nuclear-free former Soviet Union but it was done in exchange for territorial integrity. And if we think that Crimea is a regional, local affair, we are wrong. The message being sent to every country in the world is that if you want to protect your sovereignty, get some nukes. And that’s why the Ukrainian crisis affects everybody on this planet and I hope that eventually we’ll recognize that it’s not about isolating Russia. It’s about isolating Putin’s regime, which is a dangerous virus. You don’t engage a virus. It needs to be contained. Contamination is not the answer. Thank you. RUDYARD GRIFFITHS: Great opening statements. Now, we’re going to go to timed rebuttals. We want to give each side an opportunity to rebut what they have heard, and we’re going to ask the pro-side to speak first. Vladimir, you’ve got two minutes to reflect on what you’ve heard. 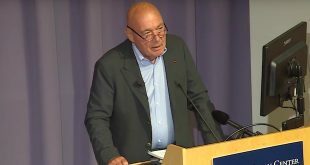 VLADIMIR POZNER: The problem is, for me, that the majority of people in this audience, if we’re honest, really don’t know much about Russia or the Ukraine. And so you can say anything. Billions and billions? You’ve got to be kidding. It’s not true. Billions and billions were not invested in Russia. And what was invested, was invested to make money. And as for Putin’s cronies, why are they cronies? Why are they not his comrades? I mean, this is all about the wording. It’s not about the facts. The facts are here: if indeed Ukraine had nuclear missiles, can you imagine what kind of a chess game we’d have? There would be nobody left to play it. Is that what we’re looking for? Thank heavens they don’t have missiles in that country. And the fewer missiles that there are in the world, the better it’s going to be. So I’m not going to get into this, you said this wrong, nitpicking kind of stuff. To me, the really basic thing is, do we want a Russia that is pushed out of everything, doing whatever it is doing, in no way answering for what it does, not under any pressure from outside because it’s not engaged, or do we want engagement? And who is it better for? Is it good for the West? Or is it bad? Is it good for Russia or is it bad? And it’s not about Putin. Russia has always been in the crosshairs of the West and perhaps for good reasons, but if you take it just to Putin, then it’s a big mistake. It’s not about Putin. It’s about a much more basic relationship. STEPHEN COHEN: I didn’t know that Mr. Kasparov was stalking me. I had no idea he lived on the Upper West Side. And I’m hoping we’ll end up in a coffeehouse there for a friendly talk. But I wouldn’t want him making any Western policy. This becomes, and it stays in this debate, and in the United States particularly, a discussion of Putin. Henry Kissinger, who is 91 and not thought to be soft on anybody, wrote in Ms. Applebaum’s own newspaper back in March, 2014, that “the demonization of Putin is not a policy. It’s an alibi for not having a policy.” I would say that Dr. Kissinger could have gone further and said that the demonization of Putin is an excuse to abandon analysis, to obscure perilous facts and to make statements about an evil in Moscow, a mafia state, a Hitler. It’s not true. Alongside of it, inevitably, comes this romance with the Yeltsin 1990s. Maybe it was great for Mr. Kasparov. Maybe it was great for Poland and Eastern Europe, I don’t know. But when Mr. Yeltsin was forced from office, as he was, and as Garry well knows, 75% of Russians lived in poverty. And the billions and billions of American and Western dollars they so romantically think were sent to Moscow were collected by Mr. Yeltsin’s friends and sent back to the Bank of New York, where they were laundered and where a criminal case was brought against the bank for that. So this romance of the 1990s, when Russia was on its knees, ruled by a weak ruler and pillaged by a mafia, brings no indignation. It’s all Putin. So let’s think about the real problems in the world, and about our security. Please. ANNE APPLEBAUM: To be clear, the Russia that we have today, the current Russian regime as it exists now, is the result of our failed policy of engagement. Have we isolated and humiliated Russia since 1991? No, not only was post-Soviet Russia not humiliated, Russia was given de facto great power status, as you just heard. Russia received the Soviet UN seat; it received Soviet embassies and Soviet nuclear weapons which were transferred from Ukraine under the terms of the 1994 Budapest Memorandum. From the beginning, a series of American presidents, all of them, in fact, have sought to build up Russia’s international status. Presidents Clinton and Bush invited Russia to join the G8 although Russia was not one of the world’s top economies. Russia was invited to join the Council of Europe, although it is not a democracy. Russia was invited to join the World Trade Organization, whose rules it systematically violates. During that same period, while we were engaging Russia, while we were inviting Russia into our institutions, while we were attempting to create a Russia, what was Russia doing? Putin invaded Chechnya, not once but twice. He invaded Georgia. He invaded Ukraine. He built up his military system. Last month he held a military exercise in the Arctic, involving 80,000 troops, 220 aircraft and 41 ships. Earlier this year he conducted an equally vast exercise in the Baltic. In 2009 and in 2013 he conducted military exercises which concluded with a practice run of a nuclear bombardment of Warsaw. And incidentally, you can’t have it both ways. You can’t say Putin was laundering his money in Western banks and that we were isolating him. No, while we engaged with them, while we included them, while we let them use our banking system, while we enriched them, what were they doing? They were recreating a Soviet-style nuclear arsenal and a Soviet-style military that they want to use against us. GARRY KASPAROV: I am always willing to learn, but this is the first time that I have ever heard that a policy of engagement in the 1920s could have prevented Stalinist terror. I always believed that it was a criminal regime founded by Lenin and Stalin and others and that whatever the West did in the 1920s was irrelevant. This was what Lenin said — that we’ll use them as useful idiots who’ll sell us the very rope that we’ll use to hang them. Now, I’m not here to say that Yeltsin’s regime was a perfect democracy. I have a lot of criticisms of Yeltsin and I believe Russia missed great opportunities to be turned into a proper democratic state with established institutions and a normal check and balance system. It didn’t happen and there is a lot of criticism of Yeltsin which is justified. But again, we avoided wars; we avoided Yugoslavia, which could have happened if we had had someone like Putin in power then. And yes, I agree, there was massive corruption under Boris Yeltsin, especially in his second term when the oligarchs were ripping off the country. And these very people who were stealing these funds, they were the ones who convinced Yeltsin to appoint Putin to protect them. They didn’t care about democracy; they wanted to protect the oligarchs. With very few exceptions these people are still around. When we talk about Putin’s friends, we are talking about people who were lucky. They shared the same desk with Putin at school or were in judo class with him, and now they are on the Forbes list. The country, as Anne said, is owned by very few families, and ironically, they are all people that are close to Mr. Putin. They are fighting for power and it’s a fight for survival. And that is the only item on Putin’s agenda – to stay in power and he will do whatever necessary, because he has no other choice. He will commit every crime to make sure that he can stay in the Kremlin. RUDYARD GRIFFITHS: Ladies and gentlemen, this debate is set, and now we want to get into an exchange with these debaters. Vladimir, let me come to you and pick up on something that Anne said. What did Obama’s famous re-set, the degree to which his administration tried to roll back a number of policies which were seen as exclusionary to Russia, lead to? It led to Crimea, it led to the Ukraine. How do you respond to the perceived failure of that policy? VLADIMIR POZNER: First of all, it did not. Secondly, know that Russia was so poor that they even misspelled the world “reset” in Russia. We had to correct them for that. It would be funny if it happened in English. This did not lead to Crimea at all. If you want, when we’re talking about whether or not Russia was humiliated, what happened in Yugoslavia is a perfect example — the bombardment of Yugoslavia, when Russia begged us not to do it. And that was during Yeltsin’s time. The Russians were told, just shut up. And since the UN would not condone it, NATO did it. And then of course, Kosovo was allowed to leave Serbia, although it had been part of Serbia for over 500 years. Why was that possible? Why were the Russians ignored? That is the kind of humiliation that has led to the greatest anti-American sentiment in Russia that I have ever known, much more than during Soviet times. The average Russian today is absolutely anti-American and that was not the case before. There was anti-Bush, anti-Reagan sentiment, yes, but not anti-Americanism. There’s a reason for this, it’s not just propaganda. GARRY KASPAROV: No, there’s propaganda. My mother is 78. She was born and raised under Stalin. She said she has never heard such a concentrated message of hatred, 24/7 on Russian television, as now. VLADIMIR POZNER: Why are you yelling? ANNE APPLEBAUM: That’s how he always talks. GARRY KASPAROV: Because I am Russian also and I know Russia. 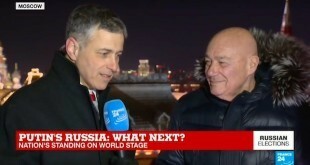 VLADIMIR POZNER: Oh so, Russians yell, that’s the idea, right? They also drink vodka, dance, play the balalaika and all of that. GARRY KASPAROV: I don’t drink. 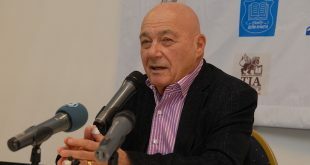 VLADIMIR POZNER: Russians are regular normal people. What I’m saying is this: your mother had her experience. I think I’m even older than your mother. GARRY KASPAROV: Yes. ?VLADIMIR POZNER: And I lived in the Soviet Union. GARRY KASPAROV: But we lived on different sides of the fence. You were on the propaganda side; we were on the opposite side, listening to you. VLADIMIR POZNER: No, that is not true. You don’t know anything about me. The propaganda in Russia was very different then. It was far less sophisticated, because Russia was totally isolated. GARRY KASPAROV: You mean the Soviet Union. Today it is more sophisticated. I agree. VLADIMIR POZNER: Yes, today it is much more sophisticated. VLADIMIR POZNER: It is much more dangerous. I’m not saying it isn’t. But the average Russian, I’m saying to you, sadly, is anti-American. RUDYARD GRIFFITHS: Vladimir’s saying that the policy of isolation is stoking the anti-American sentiments that empower Putin and his ruling clique. Anne, why don’t you respond to that? ANNE APPLEBAUM: We created Putin and his ruling clique. Our banking systems laundered the money and our tax havens created it, so stop acting like they’re somehow a reaction to our isolation. We created it, we kept Putin on board, we invited him to the meetings, we tried to make him part of things and in the beginning, it was with very good intentions. We wanted Putin to be part of the West and we had this idea that Russia is a candidate Western country and if we’re just nice enough, they’ll join. What we’ve discovered is that it has evolved into something really quite different. It’s not the Soviet Union. Soviet analogies are wrong. It’s not Nazi Germany, either. It’s a very new, very sophisticated kind of propaganda-run state. This is a country in which every single television channel and every single newspaper and almost every single internet website with a few exceptions are controlled by the state and in such a way that they appear to be all slightly different. This is not one Pravda saying one thing every day. This is a wide spectrum of different media and they all say the same thing in a tabloid way, in a sophisticated way, in an entertainment way, or in a news way. They’re telling people the same stories that Putin wants them to hear. And the story they’ve been telling for many months now is bitterly anti- American, bitterly anti-European and coming very close to being war- mongering in a way that I don’t remember. The hatred toward Ukraine; the hatred toward Americans; the use of semi- fascist symbolism – this is something really, really new and different. No wonder people are anti-American. RUDYARD GRIFFITHS: So is engagement nearly impossible because there isn’t a partner on the other side? ANNE APPLEBAUM: How many Ukrainian newspapers do you read? STEPHEN COHEN: I read ten Russian newspapers a day, across the spectrum, and it’s true, what Ms. Applebaum says, that in at least three of those ten, you hear what she says you hear. But you don’t hear them in the other seven. There are at least three that are very pro-European, pro- American and very critical of Putin. So that’s an untruth. What is astonishing for me, and the great bonus that I derive from this trip, is to learn that oligarchs and states launder money offshore. I had no idea such things happened in the world. We know what’s going on in the United States because our justice department is bringing suits against corporations for doing this. What I can see is a bigger problem in Russia, because of the way this economic system formed in the 1990s and what I can see is that this system has to be reformed, absolutely. Do I think it is Ms. Applebaum’s right to tell Russia or force Russia to do it? Absolutely I do not, because the result will be worse. This is for Russians to decide. Not for us. What is for us to decide is whether we need a security partner in Russia, whether it is Putin or his successor. And I would end with this point: I do not ever recall – and I’ve been around a long time – I do not remember ever hearing people whom Ms. Applebaum and Mr. Kasparov represent speaking like this of a Soviet Communist leader. In fact, when I listen to them, I have to say that there seems to be kind of a repressed nostalgia for the Soviet Union in their vendetta against Putin’s Russia, which goes way beyond anything we’ve ever said of Communist Russia, with whom we co-operated for our security. ANNE APPLEBAUM: When you were giving your first introduction, Mr. Cohen, I wrote down, “repressed Soviet nostalgia” on my notepaper. You spoke with nostalgia of the days when the Soviet Union was still here and could help us regulate the world. This is what you dream of. The Cold War era is something for which I have no nostalgia – half of Europe was enslaved during the Cold War. Totalitarianism ruled hundreds of millions of people. You have this idea that once again, if only the U.S. and Russia could work together we could create some kind of stability. Russia is not a country that wants stability. Russia is a country that is interested in chaos. It created chaos in Ukraine. RUDYARD GRIFFITHS: Garry, let me bring you in here. Some would point to the recent Iran deal, with Russia agreeing to help Iran with its uranium and defusing that conflict; some would point to Russia saving Obama’s proverbial bacon on his squiggly red line in Syria over chemical weapons. How do you respond to those examples of Russian co-operation? GARRY KASPAROV: Co-operation means that you make concessions and you do something which may hurt you and your interests in order to bolster co-operation with your partner. In both cases, you could see Russian interests winning. Russia has been supplying Iran with nuclear technology, so let’s not forget that this uranium goes to Russia. Russia will hold the key and this enhances Putin’s position in the international arena. And let’s not forget that these negotiations went on forever and Putin’s interest was always to keep the pressure on in the region because it helped to push up oil prices, something vital to Putin’s financial survival. ?As for Syria, Putin’s priority from day one was to save a mass murderer named Bashar al-Assad, and he’s succeeded. There are many reasons for his doing that — one is probably some form of dictators’ brotherhood. Believe me, after so many dictators were washed away by public anger in the Arab world he didn’t want to allow Assad to be toppled because then Russians could see without any doubts that dictators are also vulnerable. And let’s not forget that Putin is always looking at the map of the pipelines. Gas supplies are very important. They are his grip on Europe. Potentially, Syria is vital for a Qatar, Iraq, Syria, Turkey pipeline which could make Russian gas redundant. So in both cases Putin played the role of a saviour, a white knight at the eleventh hour, but he was the greatest beneficiary. RUDYARD GRIFFITHS: How do you guys react to that? VLADIMIR POZNER: If Mr. Kasparov is saying that Putin stands up for Russia’s interests, well I guess he does, from a certain viewpoint. I read your interview opposite mine in the newspaper where you kind of laugh at Putin’s popularity. You know as well as I do that the people who did the poll, Levada Center, are honest people. These are not government sponsored – it’s a very respectable organization. It showed that over 80% of the Russian people support Putin. Now there has got to be a reason for that. These are not stupid people. Propaganda is propaganda. But these are people who have lived a long time. They know what propaganda is. And what they do see in Putin? I’m not defending Putin, I’m explaining a situation. What they see in Putin is a man who has brought Russia back. That no longer must Russians feel that they are second place, that they are not a great nation. They’ve been told by others, just get out of our face. And now they can say, we’re back and if you don’t like us we don’t care. But we’re back, thanks to Putin. That is the feeling they have and this is something that has to be understood, good or bad. It is a fact. And there is a reason for it. It’s not just because it is an autocratic state. When my colleague here talks about Russian media he is right. There is a lot of media that says things not at all like what Ms. Applebaum is saying. You have Novaya Gazeta, you know very well it says those things. You have Komsomolskaya Pravda, you have Moskovskij Komsomolets, which says something else. ANNE APPLEBAUM: We give you Novaya Gazeta. ?VLADIMIR POZNER: What I’m saying is, they are about as different as ABC, NBC, and CBS. It’s propaganda on both sides. ANNE APPLEBAUM: I haven’t heard that kind of moral equivalence in a long time. VLADIMIR POZNER: The people here do not read Ukrainian newspapers, or Russian. So they don’t know what’s happening. GARRY KASPAROV: When was the last time you were in Kiev? ANNE APPLEBAUM: When was the last time either one of you was in Kiev? VLADIMIR POZNER: This is funny. I was in Kiev two and some years ago to receive the honourary title of Man of the Year of the Ukraine. RUDYARD GRIFFITHS: There we go. Man of the Year of the Ukraine. Let me bring Stephen into this. Stephen, do you want to interject? STEPHEN COHEN: I hope you noticed that the chess-master just got checkmated, did you notice that? Look, I dig what they’re about. I understand this fixation on Putin. I really do. Personally, I don’t care much about Putin because I wish I were going to live long enough – because I’m a historian – to see how historians evaluate Putin’s role as a leader of Russia. And I think it is going to be a big debate, the plusses and the minuses. But let me address your attention to the elephant in the room: all this embracing of Russia in the 1990s, all the wonderful things we did for them, but weren’t we also expanding NATO toward their borders? And you say, so what? Ok, so I come over, I find out where you live and I park all my military equipment across the street. And I say, I’m just here for your security. I’m making sure no one breaks into your house. And then I notice that you’ve brought a few other folks along and they’ve brought all their military equipment and that you’re in my backyard, too. And then you’re suddenly in my soft underbelly, in the south in Georgia. But don’t worry, because this is for your security. And by the way, NATO is about democracy and you need democracy. Let’s be serious. We were warned and warned by the Russians we liked in Russia, by the liberals — and Garry knows this — were worried about it and came to Washington and said, you’re pushing too far. Eventually, rightly or wrongly, the Russian political elite decided that this expansion of NATO was a way of making sure Russia would forever be a subservient state to the West. And the brass ring – or rather, the silver ring — was Georgia, and so there was a proxy war there because of this in 2008. But the brass ring has always been Ukraine. It is spoken openly in Washington. Now be honest. If you think this is a good policy, if you believe we should push our power as close to Russia as we can, bring Ukraine into the Western security system, because it’s good for us, then say so and then let’s debate that issue. But let’s don’t go on about the demon Putin and the rest because the reality is that the Russian understanding of what Ukraine is about is what NATO expansion has been about from the beginning. The Ukrainian crisis arose because the Russian political class believed that NATO was on its way, not only to Kiev, but to Crimea. Now we can say it’s crazy, but perception in politics is everything. And if you isolate Russia, they’re going to perceive it in an even more extreme form, and we will never be safe. RUDYARD GRIFFITHS: Let’s go to Anne on this: a rebuttal on NATO. ANNE APPLEBAUM: I’ll say it as you invited me to, Mr. Cohen. It’s crazy. First of all, why did NATO expansion happen? Let’s tick back the clock again to the 1990s. Who wanted it? It was the Central Europeans who wanted it. It was not an American idea. I remember because I was in Warsaw when it first came up. Why did the Central Europeans want it? They wanted it because they were afraid. They were afraid of Russia, even then. They saw what Russia was becoming. Very reluctantly, the United States agreed to expand the security zone so that the people – 100,000,000 people — would be able to make a transition to democracy and begin economic development and growth without fear of invasion. And it worked. It was unbelievably successful. ANNE APPLEBAUM: It worked for the Central Europeans. Yes, a hundred million people were safe. A region that had been the source of two world wars has not been a source of conflict since then. How did we do it? It was carried out in a manner designed to reassure Russia from the beginning. Russia was included in every piece of negotiation. No NATO bases were ever placed in the new member states. Until 2013, no exercises were ever conducted in the new member states. In response to Russian objections, and this is a very important point, both Ukraine and Georgia were openly and definitively denied NATO membership in 2008 and that has been repeated ever since and it is not on the table now. What are you looking at me like that for? ANNE APPLEBAUM: In 2008, there was a NATO meeting and they said there would be no membership plan for Ukraine and Georgia. And since then it hasn’t been on the table. STEPHEN COHEN: They said something else at that meeting in 2008. They said NATO membership remains open to Georgia and Ukraine. ANNE APPLEBAUM: Yes, theoretically, and it means it remains open to Russia as well. RUDYARD GRIFFITHS: Vladimir, come in on this. I know this is something you feel strongly about. ANNE APPLEBAUM: No, wait, I haven’t finished my point. And what’s been happening since then? In this long period of time, while Russia was rebuilding its military, while it was invading one neighbour after another, the American army was drawing down its European forces, so much so that by 2013 there was not one single American tank in Europe. This is an aggressive policy? There is no way that Putin believed in a genuine military threat from NATO. This is something that he has been using at home as a way to consolidate his power. VLADIMIR POZNER: The NATO discussion in no way consolidates his power at home. No way. As far as the people are concerned it has nothing to do with his power. But NATO does have to do with the Russian psyche. And perception, as has been said, is very important. Let me remind you of what happened in 1962. In 1962, two independent countries – one called the Soviet Union, one called Cuba – agreed to have Cuban missiles placed on Cuban soil, the reason being that there were American missiles in Turkey. And so the Soviets decided it’s a good idea to have our missiles closer to the United States. This was the height of the Cold War. Two countries have the right to make that kind of decision, but when the United States found out that this was happening, it said no. You will not do this and if we have to sink your ships, we will sink them. And as a result if World War III happens, it will happen. These are facts. ANNE APPLEBAUM: No, no. You can’t. VLADIMIR POZNER: Well thank you very much. And that is the way they speak to Russia. ANNE APPLEBAUM: One of the things negotiated with Russia was an agreement not to move nuclear missiles. That is a fact that you left out. VLADIMIR POZNER: That did not happen. Rightly or wrongly, that is the way Russia looks at NATO. It sees it as a threat. Why was NATO created? It was created to protect the West from a possible Soviet invasion. There is no more Soviet Union, has not been one for over 25 years. The Warsaw Pact, which was the Soviet’s answer to NATO, is no longer there. Mikhail Gorbachev, whom I tend to trust, told me three times that James Baker, who was then Secretary of State, told him, if you agree to the unification of Germany and taking down the Berlin Wall, NATO will not move one inch to the east. Now, you may say he’s lying, but I don’t think he is. I think he’s telling the truth and the thing is, during the Soviet period — which didn’t last very long after that — NATO did not move to the east. It moved under Clinton. And when the Russians started saying, what’s going on here, Yeltsin was told, no, we have no agreement with you. We had an agreement with the Soviet Union but you’re Russia. And so in 1991 Poland and Czechoslovakia, which was still Czechoslovakia, became members of NATO. And finally, NATO found itself on Russia’s border, in Estonia. In Latvia. This is Russia’s border. Now again, you may say, but there’s nothing dangerous about that. I’m telling you — and this is perhaps the result of Cold War mentality — that NATO is seen as a threat and what the Russians have said about Ukraine is, we will not allow NATO to be on our border in the southwest. We will not allow it as America did not allow the missiles in Cuba. You can condone it, not condone it, but that is how it is seen. You perhaps think that NATO is not dangerous. Fine. GARRY KASPAROV: A couple of points. One is about Russian leaders, elites. Mr. Cohen repeatedly said, there are no Russian elites making decisions. Well, there is one man who makes decisions, all the decisions. And by the way, these Russian elites, as a combined entity, know exactly where to put their kids, their money, their fortunes: south Kensington in London, Miami, probably in this country, as well. So this whole idea of the Russian elites being afraid of the West is not true. Because they know that they can be safe with their fortunes and their future generations here. And then another myth which I hear repeatedly – Putin is very popular. And about the Levada Center, I don’t want to argue with you about their integrity. Yes, I agree. I give them full credit. Now, what is an opinion poll? Somebody calls you anonymously and asks you, what do you think about Mr. Putin? That’s an opinion poll. You know, I’m really proud of my country that there were 20% of the people who said they didn’t like Putin, knowing it was potentially the KGB calling them. Also, we’re being accused of being Cold Warriors, warmongering crazies, but we want to live in the 21st century. What we hear is the 19th and 20th century. I hear America, Russia. Russia, America. Sometimes I hear Germany. What about the countries in between? I believe those people have the same rights. GARRY KASPAROV: I was in Kiev not two years ago but two weeks ago. And I was proud to meet this young Ukrainian who stood against the corrupt regime of Viktor Yanukovich. I believe it is the right of Ukrainians to decide what will happen to their country. Support for NATO membership in Ukraine 18 months ago was merely 16 or 17%. It’s now quadrupled. Guess why? And it is not always Russians and Ukrainians at war there, against each other. I spoke to many people who fought in the eastern front against Russia, and most of them are ethnic Russians. They are fighting Putin’s invading armies because they don’t want to live in Putin’s Russia. This is the Russia I want to see. RUDYARD GRIFFITHS: Ok, Stephen and then Anne. STEPHEN COHEN: But it’s Putin again. I mean, are we going to have a discussion of what is in the best interest of the West? That really is embedded in the question isn’t it? Should we engage Russia or should we have a debate about how we are going to get rid of Putin? Ms. Applebaum wrote a wonderful book of history called “Gulag” and I strongly recommend it if you have an interest in it. I think you should read it because a master historian is at work there. And as she knows, now comes the however. I understand that for one reason or another, she views this whole saga of NATO expansion through the perspective of Central and Eastern Europe. I understand. But the story she told of NATO expansion is nowhere written in the histories we now have. There was tremendous pressure in the United States, on Clinton, to go back on the word that had been given to Gorbachev that NATO would not expand. And so the whole history of NATO expansion that we’ve heard is the fairy-tale version: that we did it to protect them from a Russia that was menacing them when Russia was broken down in the 1990s, and we had to save them and we brought democracy along the way. But it isn’t the true story. The reality is that there is another debate to be had here, though some of you won’t even like the question: does a nation, any nation, have the right to join NATO if it technically qualifies for NATO membership? It’s always said that is so, but I disagree. NATO is a security organization. It’s not the Chamber of Commerce. It’s not a non-selective sorority or fraternity. You get in if we like you. It’s a security organization and the only criterion that matters is, does it enhance our security? NATO has brought us the greatest crisis in international affairs since the Cuban Missile Crisis. And a lot of people are rethinking this, and by the way, some of those countries, to which Ms. Applebaum is so devoted, are also rethinking it. Read what the Czech president says. Read what is being said in Hungary. Read what is being said in the other half of Poland. There are a lot of fundamental questions about whether or not this has really enhanced the security of Europe. That is the subject for another debate but you don’t get a debate with opinion. You get it with facts and these are facts. GARRY KASPAROV: Zeman, the president of the Czech Republic, his election was paid for by Lukoil. And he was defied by his own parliament. RUDYARD GRIFFITHS: I just want to be conscious of our time but I’d like to deal with a topic that is on a lot of people’s minds. You and I spoke about this earlier, Anne, so I want you to answer it. It’s about the presence of nuclear weapons, the large nuclear arsenal that Russia has. I’m sure many people would naturally feel a tendency to come over to the compromise, camp, on the basis that we just can’t get this wrong. We can’t risk the potential for an escalation that could flow from a policy of isolation. How do you respond to that? ANNE APPLEBAUM: First I want to respond to Mr. Pozner, who didn’t let me correct him. One of the other elements of NATO expansion that was very important was an agreement to not move nuclear missiles, an agreement to which the West has kept. This is why the Cuban Missile Crisis analogy is completely wrong. VLADIMIR POZNER: It’s not wrong at all. It’s fear. ANNE APPLEBAUM: It has nothing to do with it. VLADIMIR POZNER: It’s fear on both sides. It’s fear. ANNE APPLEBAUM: Ok, so fear there is. So what is the answer to the question about nuclear missiles? Fear and fear of nuclear weapons is very central to this issue. It actually explains why we aren’t more enthusiastic about helping Ukraine. If Ukraine were being invaded by Belarus, we might give them some radar weapons and not worry about it. Why don’t we help Ukraine? It is because we’re afraid of Russia’s nuclear arsenal. And we are afraid also, as one of my opponents said, that this is an irrational country, it might sell nuclear weapons to other people one of these days. We don’t know what it might do. It might run off the ranch and do something crazy. What is the way in the past in which we have dealt with a country like that? It is called deterrence. Deterrence is not an aggressive policy. It is not an offensive policy. It is defence. The deterrence argument is: if you bomb us, we will bomb you back. It is very unattractive as a policy and no one likes it. It’s MAD, Dr. Strangelove, it’s a horrible thought, but this is the only policy we have that we know works. It is the only policy that we are capable of using now toward Putin’s Russia, which does not want to engage with us anymore, which pumps out propaganda against us in all kinds of different ways, in all kinds of countries, whether it’s, as Garry says, funding the Czech president’s election, whether it is funding the far right in France. This is a country that does not want to be part of our system anymore. It has made that very clear. What can we do? We can deter. We can make sure that Putin knows that we know that the Russian regime is him. And the word “cronies” is an important one. Because what are they? They are just rich guys who are his friends. Somehow they are very powerful. What other word do we have to describe them? What we need is to make sure that that group of people knows that we would respond. We don’t have a better policy. And I’m very sorry and in some ways it is one of the great tragedies of my life. I’ve watched all this happen; I’ve read the history of the Soviet Union; I’ve watched the transition happen and now we’re back to exactly the place I would never have wanted us to be. VLADIMIR POZNER: I think we’re in a much worse place than we were, quite frankly, because back then there were two ideologies facing each other. Now there is no ideology in Russia. ANNE APPLEBAUM: Oh yes there is. VLADIMIR POZNER: No, for most people there isn’t. They don’t even know, for example, what is the future, what is the promise, what are we working for? Back in those days whether this was true or not is a different issue. ANNE APPLEBAUM: The good old days! VLADIMIR POZNER: No, those were terrible days, but it was an ideology and it was from the start. And the Red Scare was about ideology and you know it as well as I do. In this particular case it is no longer ideology. It is geopolitics. It is about whose interests are at stake. RUDYARD GRIFFITHS: So why does this put us in a more dangerous position? VLADIMIR POZNER: Because it is unpredictable. And another thing has happened: back in the bad old days, there was real fear of nuclear weapons. Children hiding under desks, movies like “The Day After,” people were aware. Today people aren’t even talking about nuclear weapons. ANNE APPLEBAUM: Except in Poland. VLADIMIR POZNER: It’s as if they weren’t there, but they are. ANNE APPLEBAUM: Oh, they’re talking about nuclear weapons. VLADIMIR POZNER: So I think it’s very dangerous. They’re not talking anywhere. ANNE APPLEBAUM: That is not correct. VLADIMIR POZNER: They’re not present in our conversations the way they used to be. And I think that’s a bad thing. RUDYARD GRIFFITHS: I’m going to go to Garry at this point and then I’m going to give you and Stephen the last word. GARRY KASPAROV: I wish nobody ever had to talk about nuclear weapons but Russian television for the last year has been talking about them over and over and threatening the West. What about the big billboards about turning America into radioactive ash? VLADIMIR POZNER: You have one person saying that, come on. GARRY KASPAROV: That’s Channel Two, Russian television, one person says it but 100 million people are listening and watching. And Vladimir Putin publically said he would use nukes if the West stood against him in Crimea. VLADIMIR POZNER: He did not say he would use nukes. GARRY KASPAROV: He did. STEPHEN COHEN: They talked about going on high alert. But the United States has been on high alert a dozen times. VLADIMIR POZNER: You know, let’s be a little bit more precise. He did not say he would use nukes. Khrushchev said, “We will bury you.” Remember that? GARRY KASPAROV: Yes. I read that in the books, and I heard Putin. VLADIMIR POZNER: So, when some idiot says that we’ll turn you to ash. I mean, do you even know who said that? It was on television and the guy who said it was Dmitry Kiselyov, so it wasn’t Putin. It’s as if you listened to Rush Limbaugh and he said something like that, and you said, look at what the Americans are saying. This is a jerk, if you’ll excuse me, saying what he is saying. GARRY KASPAROV: You are free to have jerks of all stripes on American television, but not in Russia. In Russia you are only allowed one. VLADIMIR POZNER: But it’s not a Russian policy. It’s one person. And that’s very clear. RUDYARD GRIFFITHS: Let’s let Stephen get in here. GARRY KASPAROV: Limbaugh is not on the payroll of the White House. The person who said that was on the payroll of the Kremlin. That is the difference. RUDYARD GRIFFITHS: Stephen, let’s give you the final say on this, the important point of how the threat of nuclear weapons flows into the discussion of isolation versus engagement. STEPHEN COHEN: I will take the rabbinical view here, that both Kasparov and Pozner are right. Talk of nuclear weapons has re-emerged, not in the same way that we were conscious of during the Cold War, but the discussion has re-emerged. Ms. Applebaum wrote a column recently. I don’t think she put the headline on it, but it was the ethos of the column which essentially said we should rattle our nuclear weapons that concerned me. And when people start talking like that it is absurd, and she echoed that column here today, and I think we know we are in dangerous territory. I would go even further in alarm than Pozner and I would say we are in a new Cold War by whatever name and it is potentially more dangerous than the last one. This is where the nuclear weapons come in, for several reasons. First, the epicentre of the last Cold War was in Berlin. This one is in Ukraine, right on Russia’s borders, so imagine the possibilities for provocation, mistakes and all the rest. Secondly, and this is what really worries me. During the last Cold War the great powers developed a series of rules of conduct – hot phones, hot lines, constant discussion, meetings – that kept us safe. This is a fact, I mean, this happened. Over 40 years. There are no rules of conduct yet, in this new Cold War. And that is why anything can happen. A third reason is, there is no opposition to it in the United States and there was a lot of opposition to it before. You will remember that one of the great achievements of Reagan and Gorbachev was to eliminate — and this was the only time a category of nuclear weapons had been eliminated, ever — intermediate cruise range missiles. That was 1987, if I’m not mistaken. That was an enormous achievement. It made everybody safer. Those missiles don’t need but 4 or 5 minutes for alert systems to perceive whether it’s a seagull or a missile coming in and there are a lot of recorded misperceptions on these radar systems. Now both sides – not one side – are talking about reintroducing intermediate cruise range missiles. The Russians are talking about putting them in Crimea and Kaliningrad and I think Garry would agree that they have said that, talked about that, and the United States is talking about putting them back in Western Europe. That is how dangerous it is. Because my two opponents really hate Putin, you want to go there? RUDYARD GRIFFITHS: We’re going to go to closing statements, so let’s have Garry Kasparov up first. Garry, you’ve got three minutes. GARRY KASPAROV: I will have to ask Mr. Cohen’s forgiveness, because I want to talk about Vladimir Putin again. Yes, there are differences today, because as Mr. Pozner said, in the bad old days there was the politburo. And even if you have the ten worst people in the world, they can make more balanced decisions than one man. And now, with Vladimir Putin, there is no way out. He presents himself as a strong man that can protect Russia against endless enemies. This is not the image of Russia I want to see projected and it is hard for me to argue for isolation, but this is not the isolation of Russia. This is the isolation of a dictator. The strength of a dictator is like the strength of a mafia boss, the capo dei tutti capi, the ringleader of all. He keeps power not because he is elected and not because he has a birthright, as though he were a monarch, but because he protects everybody, because he is invincible, because nobody can go after him. And as long as he keeps this image of a strong man he prevails. And every time the free world makes concessions to him, he becomes more and more arrogant. If Putin is not stopped in Ukraine, he will be able to move farther. He will start provocations in the Baltic countries in order to undermine NATO because he needs chaos and he needs muddy waters. That is the way for him to survive politically. It is all about domestic politics, because he has nothing else to offer, no trump cards but foreign policy expansion. And talking about isolation again, we spoke a lot about the Cold War and the name Henry Kissinger was mentioned. Yes, I do remember. I was a kid but I remember and I read the stories and later I learned more about it. In 1974 there was a big debate in U.S. Senate about the Jackson-Vanik Amendment. It was an amendment that proposed tying together free trade with the Soviet Union and the question of human rights in the Soviet Union. Mr. Kissinger spoke against it and there was a great man, the man who was my role model, Andrei Sakharov, a man who was under harassment, and eventually ended up in exile, and he spoke for — you may call it isolation – but he spoke for that because that was the way to weaken the regime. It is very important that we send this message, not to Putin, forget him now, but that we send this message to his cronies. It is about his cronies, or inner circle, about the Russian bureaucracy and the middle-class in Moscow. They all need to understand that the policies of engagement that enhance the strength of Russia will no longer be in place. And the free world will stand behind its values and will think not about Putin’s Russia but about the future of my great country. Thank you. RUDYARD GRIFFITHS: Three minutes, Stephen. STEPHEN COHEN: I was going to begin with a lighthearted remark, and say it would really be fun just to see Kasparov and Pozner go after each other alone, and actually I was in Moscow in early March and I was in kitchens where Russians had exactly those conversations and representatives of both sides were there. So a big debate goes on in Russia. But when Kasparov said that he thought Sakharov was going to be on his side today, I suddenly felt, I wouldn’t say angry, but I would say really disappointed. Something should be sacred and I think that is the name of Sakharov. And Sakharov absolutely would not have supported the isolation of Russia, under no circumstances. His whole life, everything the father of the Soviet hydrogen bomb wrote, sent the message that we must engage on these issues. You need to go back and read. Worshipping somebody without reading them is probably not the way to go. The same thing can be said about Putin. I am not pro-Putin. I have no sentimental attachment to Putin whatsoever. As a historian, he’s a subject of study to me. But I think if you would read what Putin actually says, read the speech he gave when he annexed Crimea — they have driven us into a corner and we have nowhere to retreat to — and you say, what do you mean? How did we drive you into a corner? He’s talking about NATO. He’s talking about the encroachment on Ukraine. Alright, you say, no, we’re virtuous. But I come back to this issue. To isolate is to exacerbate those distorted perceptions of us, if you think they’re distorted. So let me end by returning to an astonishing thing that Ms. Applebaum said. She said, and I don’t do shorthand, Putin’s Russia does not want to be part of our system any longer. I think she said that. That is, Russia wanted to be, but under Putin it no longer wants to be. It’s a strange statement because, first of all, and I promise you this — and you can go to Kremlin.ru in English and read every dangerous speech Putin has given — he is on his knees pleading to be part of the West and lamenting that he has been driven from the West. Don’t put your hands up, Garry, don’t do that. I would not come here and lie to you, read his last six or seven large speeches on the Ukrainian crisis. Read them. There is one other thing. Russia was never part of our system. I said facts, not opinions. The fact is, and Ms. Applebaum omitted this with this fairy- tale about NATO expansion, that NATO expansion excluded Russia from the post-Soviet European system of security. Russia was excluded. How can they not want to be part of a system of which they were not made a part? ANNE APPLEBAUM: Ladies and gentlemen, it has no doubt been a very confusing evening. You have just heard two very radically different accounts of contemporary Russia. You have heard, on one side: Russia, it’s a little bit difficult; I don’t really want to support it; I’m not really pro-Putin, but it is the kind of state we need to speak to, with which we need to engage. We need to talk to them, it is very important that we are reasonable with them so that we can continue to divide up the world the way we once did 25 years ago. On our side, you’ve heard an argument that this is actually a different kind of nation, a nation that thinks differently. This is a nation where the reason we keep talking about Putin and his cronies — as I said, we are searching for a word — is because he is an owner-occupier, these are owner-occupiers. These are not just politicians. They own Gazprom. The owners of Gazprom are the leaders of the country. They use their businesses. They use their media inside their country, inside Ukraine, inside Central Europe and all over the West in order to achieve their own ends. And what are their ends? Their ends are to remain in power. Everything that Putin does, his ultimate goal is to stay in power. Whether it’s building up his nuclear arsenal, whether it’s carrying out military exercises, whether it’s claiming that Malaysian planes were shot down by Martians or whatever else it is going to be, the idea is always about maintaining his power. We are forced to talk about him, because he is so dominant. What you haven’t heard from any of us much tonight, and certainly not from our opponents, is about the people who have been the most important victims of the West’s policy of engagement until now. These are the young and energized Ukrainians who stood on the Maidan in the cold last year in order to fight Putin-style corruption and dictatorship. These men and women have, in the past 18 months, created new television stations from scratch; they have run for parliament and won on anti-corruption tickets; they have set up organizations designed to promote good government and transparency. They may well not succeed as they have extraordinary obstacles to overcome. They may well not succeed but their goal is to create a more democratic, fair and less corrupt world in the 21st century and Putin’s Russia is trying to stop them. I repeat: Ukraine is not Putin’s only target. He also wants to undermine our societies, corrupt our politicians and spread conspiracies inside our media. He hopes to persuade Europeans to succumb to the old temptations of the fascist far right. To stop this from happening, to stop him from destroying Ukraine, we need to isolate Russia in this sense – enforce our own corruption laws, disentangle ourselves from the drug of Russian money, and re-establish the Western solidarity which he is trying to destroy. RUDYARD GRIFFITHS: Mr. Pozner, the last word. VLADIMIR POZNER: Thank you. I refuse to play this game of who’s nice and who’s not. I care about Russia and I’m only going to ask you, what are the consequences of isolating Russia? Well, as I count them, there is a minimum of ten. And all ten are detrimental to the West. First, it plays into the hands of the chauvinist, anti-Western forces in Russia that dream of bringing down the Iron Curtain again. Second, it plays into the hands of the traditionally anti-Western Russian Orthodox Church. Third, it reinforces the feeling now shared by 73% of all Russians that the West, led by the United States, is the enemy. Fourth, it turns Russia eastward into a partnership with Communist China, a partnership that is both dangerous and threatening to the West. Fifth, it makes Russia ever more unpredictable. Sixth, it plays into the hands of Russia’s military industrial complex. Seventh, it reinforces the traditional Russian desire to circle the wagons, in view of what seems like a hostile environment. Eighth, it minimizes any outside information for the Russian people who presently do have access to Western media, to Western movies and to the internet. Ninth, it cuts off travel for all average citizens, including tourism, exchanges, educational opportunities, and tenth, it leads to the birth of a generation of Russians hostile to the West. What are the consequences of the West engaging Russia? By engaging Russia, I mean opening its doors to as many Russians as is physically possible, easing visa restrictions or waiving them altogether, allowing Russians to visit, to work, to send their children to schools and universities, to develop human contacts. The West by doing so will achieve a profound change in people’s mindsets and this will fundamentally change the country, its politics and its policies. It will not happen overnight. But it will inevitably happen. And this beyond a shadow of a doubt will be a huge positive for the West and by the same token, for Russia and for the Russian people. And finally I’d like to say, that if, as Ms. Applebaum once wrote, the Russian president dreams of setting down a new Iron Curtain, well then isolating Russia is playing right into Mr. Putin’s hands. Thank you very much. RUDYARD GRIFFITHS: Ladies and gentlemen, we’ve been treated to a superb hour and a half tonight. I want to thank, on behalf of the entire audience, our debaters. Bravo! And again, thank you to the Aurea Foundation for making this all possible. This is the kind of informed conversation, regardless of what side of this issue you stand on, that I think benefits all of us.